S-HE 372 & KONAD - Tina Rakuš. 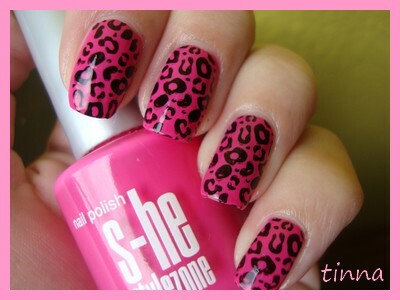 Today is time for leopard manicure.. So, I decided for S-he 372 nail polish - I added 2 coats. Leopard pattern is from Konad m57 and for stamping I used Essence stampy Black nail polish. Beautiful pink color!!! 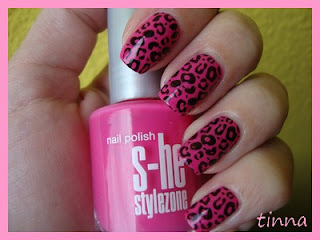 And i like leopard konad very much! pink and black look gorgeous together!! 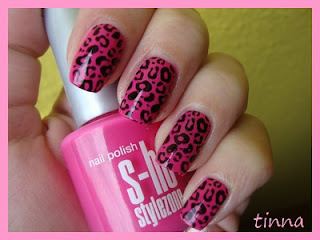 ur blog is great and thanks for so many nailpaint ideas! !